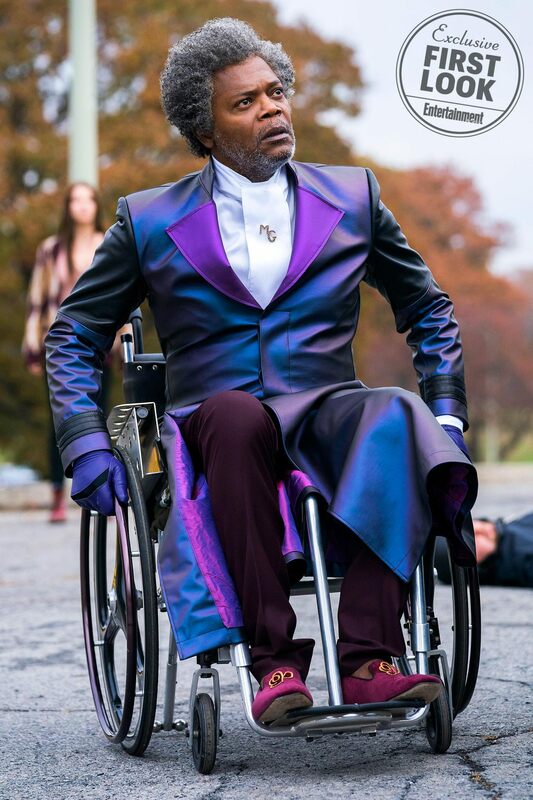 Here’s Your First Look At M. Night Shyamalan’s GLASS | Birth.Movies.Death. 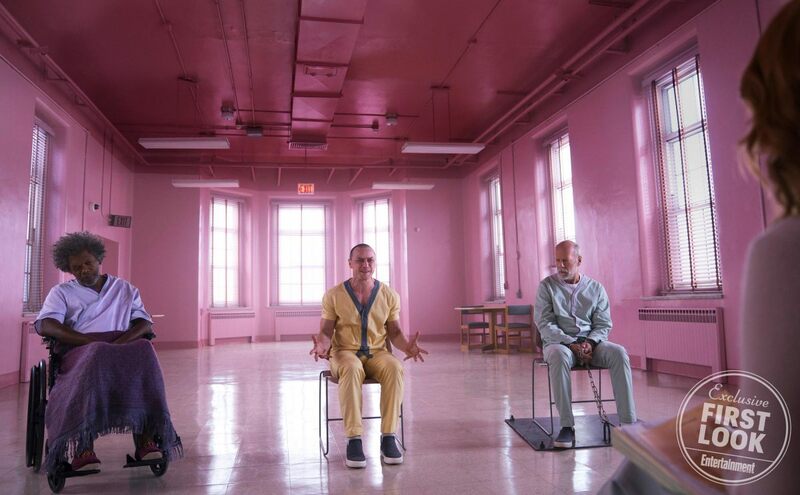 M. Night Shyamalan’s Glass is a mere six months away, and for fans of the (unfairly) maligned director, it’s an excruciating wait. 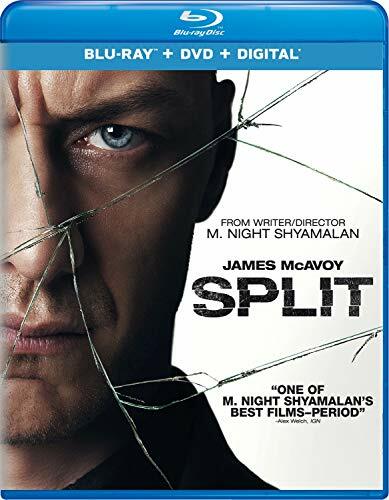 Seeing David Dunn (Bruce Willis), Elijah Price (Samuel L. Jackson), and Kevin Crumb (James McAvoy) united onscreen in some kind of idiosyncratically Shyamalan superhero showdown is honestly a bigger draw than Avengers for me. 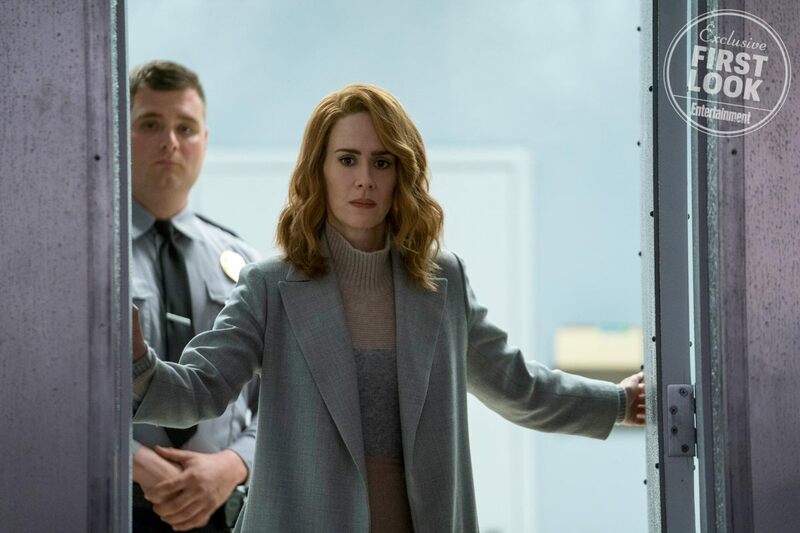 EW got the first look at the film, debuting a series of promo images of the anticipated sequel to both Unbreakable and Split. First up: a solid still of our three main characters, all locked up - together! - in some kind of mental institution. 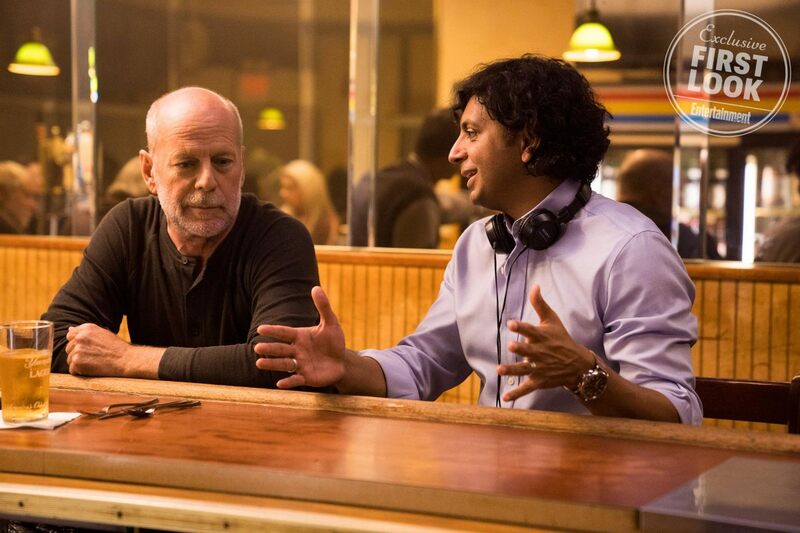 Here’s Shyamalan himself directing a bearded and bemused Bruce Willy while he’s just trying to down a damn pint.​ It's unclear as of yet whether the director will also play a role in the film, but I'd say we can count on it. Hell, he could reprise multiple roles from past films! And we’ll round things off with this shot of Jackson’s Elijah in all his grey-’froed, purple-suited glory. The gold monogramming on those shoes is quite something. My man’s got style. Glass releases January 18th. 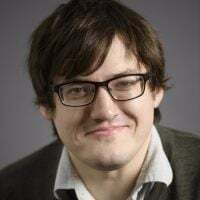 A trailer played at CinemaCon a couple months ago, and we’re hoping we’ll be able to bring you a viewable version soon.